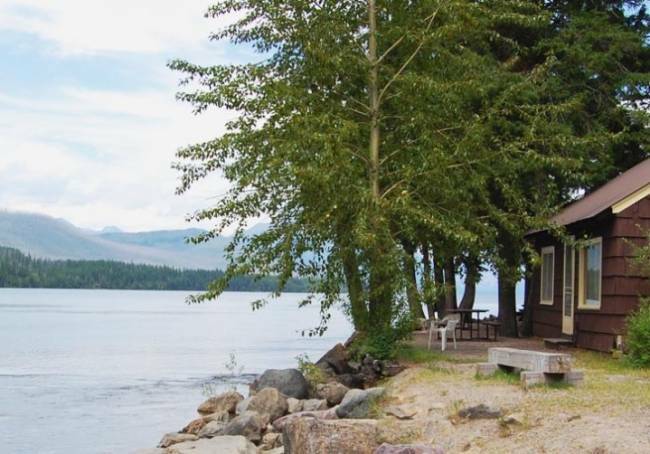 Apgar Village Lodge Cabins is an affordable and accessible lodging accommodation located in the west side of Glacier National Park along the southern shore of the breathtaking Lake McDonald. 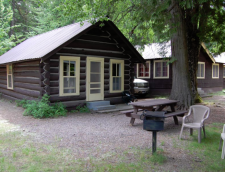 The Apgar Village Lodge Cabins is made up of 28 cabins and 20 motel rooms that sit nestled among old growth cedar trees. Each unit comes with private bathroom, alarm clock, toiletries and daily housekeeping service. Some of the cabins come with kitchens. 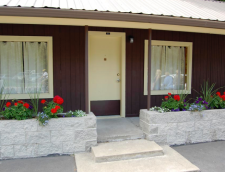 Similar to all the other in-park lodging, the Apgar Village does not have air-conditioning or televisions. 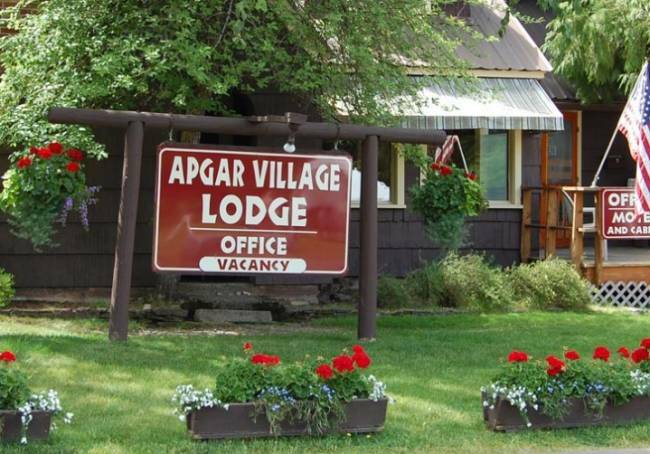 Apgar Village Lodge Cabins provides visitors with easy access to a variety of popular activities in Glacier, including - but not limited to - hiking, swimming, biking, kayaking, the park shuttle, and the famous Red Bus tours. Within walking distance is Eddie’s Cafe and Mercantile, which is a family owned and operated restaurant, gift shop, camp supply, and ice cream shop. The restaurant dishes up breakfast, lunch and dinner and the delicious ice cream shop serves ice cream and specialty coffees. 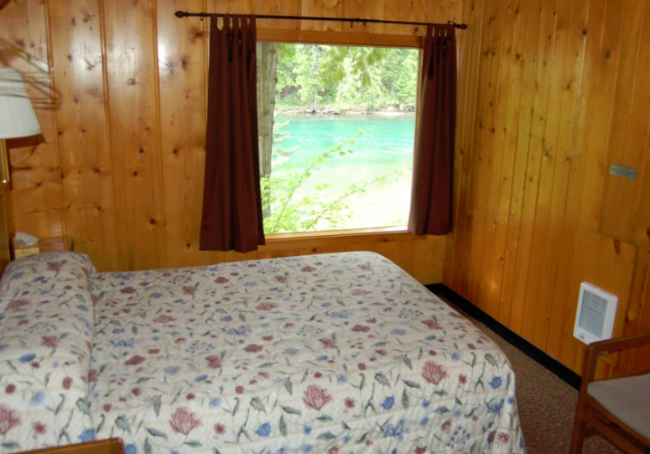 These modest rooms feature one queen bed and private bathroom with views of McDonald Creek. 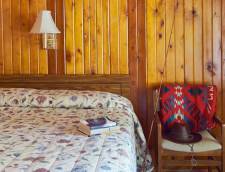 The room also includes an alarm clock, toiletries, and daily housekeeping service. This is a perfect and inexpensive option for single travelers or couples. 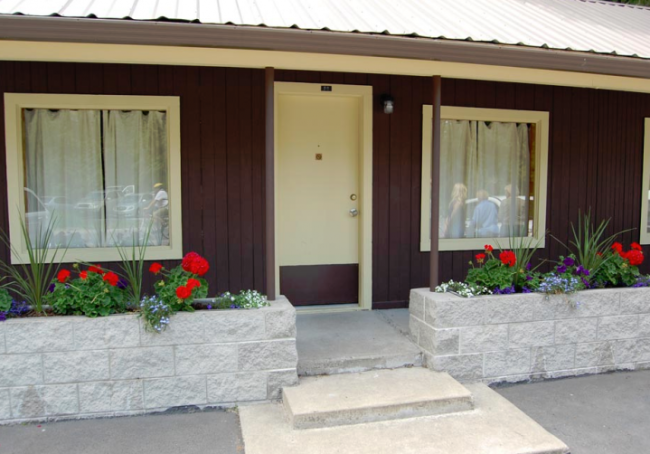 These two-room motel units feature two queens or one queen and one double. 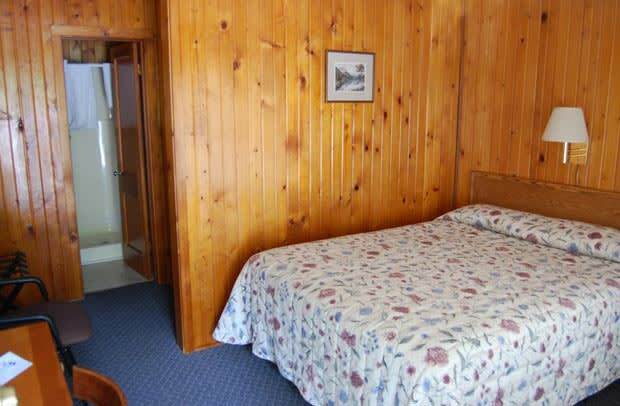 The two rooms have a bed in each room and are separated by a wall. 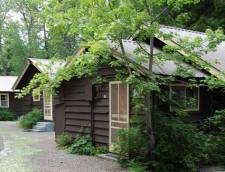 Located behind the registration office, these stand-alone cabins come with a queen bed and private bath. 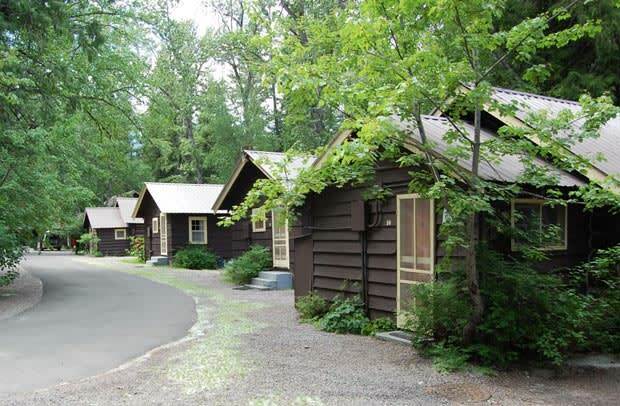 These modest cabins, which are perfect for couples, come with a fully equipped kitchen and living/dining room. 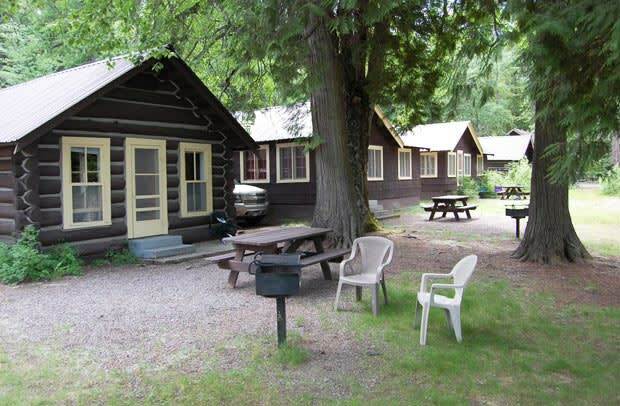 These two bedroom cabins are situated in the middle of the property, a short walk to McDonald Creek. They come with two queen beds and a sofa bed. 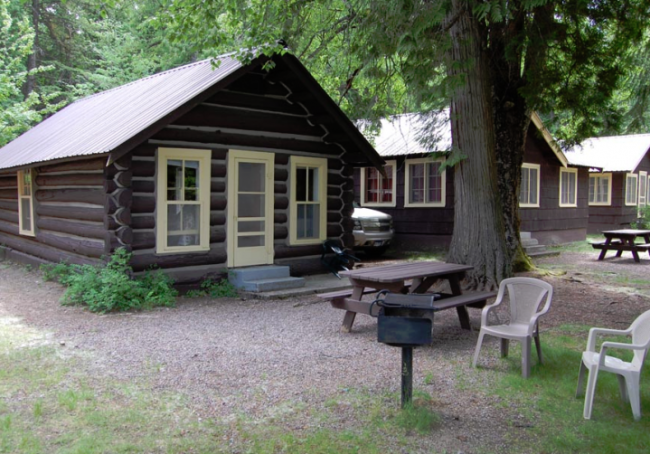 The cabins have a private bathroom, kitchen, and living/dining area. 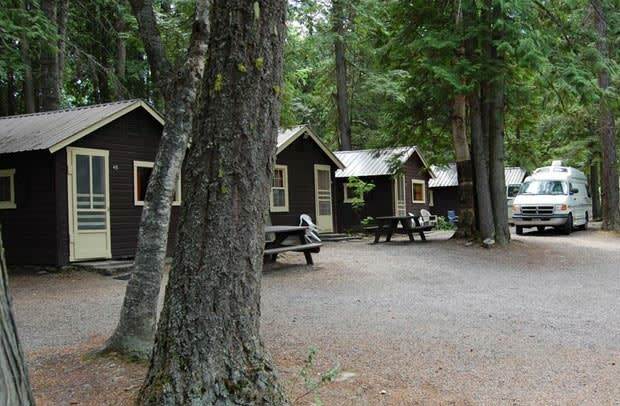 These two room cabins are located by the gift shop and BBQ area. The cabins feature either two queens or two doubles and one queen, a kitchen, private bathroom, and living/dining area. 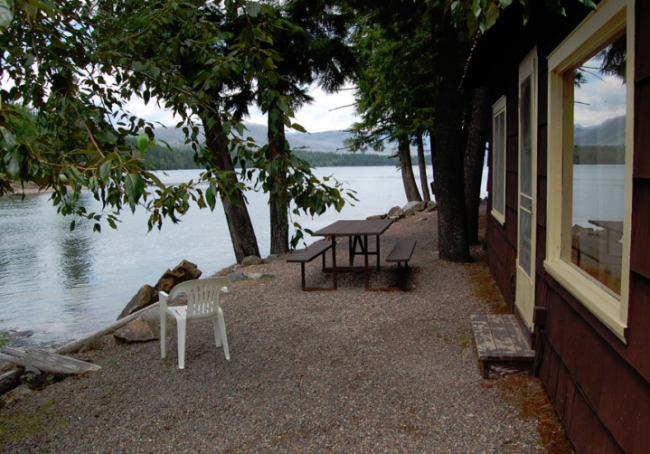 These cabins offer either two queens or one queen and one double, private bathrooms with shower stall, electric heat and a fully equipped kitchen. Cancellations made within 3 days (72 hours) to the scheduled reservation date will result in a full forfeit of the deposit. Deposits are fully refundable for 30 days following the date the reservation was made. From 31 days after the reservation was made to 3 days prior to the scheduled reservation date, there will be a $15 administrative fee per reservation ($20 for a reservation with activities/tours) to cancel. For reservations made within 45 days prior to the scheduled reservation date, the above policy applies with no 30 day grace period.